The SUR-FIT Natura® Low-Pressure Adaptor converts any SUR-FIT Natura® ostomy system into a low-pressure solution post-surgery. 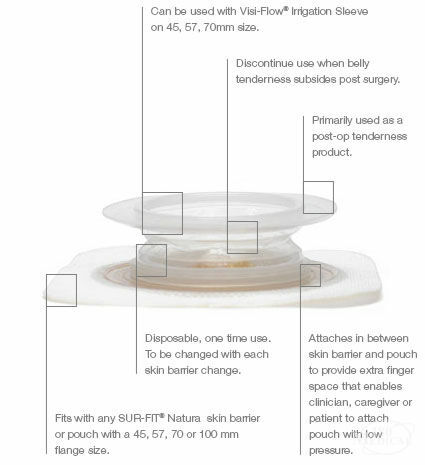 The product inserts between the SUR-FIT Natura® pouch and skin barrier to create enough clearance for fingers to snap the pouch coupling ring into place without applying force directly to the patient's abdomen, which may cause pain or trauma to the post-op area. 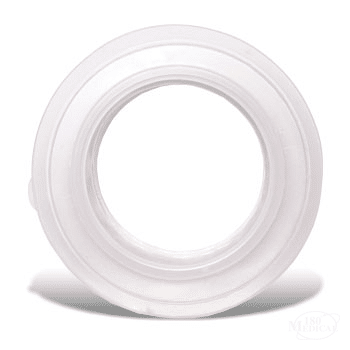 The SUR-FIT Natura® Low-Pressure Adaptor is one of many ostomy supplies we offer here at 180 Medical. Contact us today to learn more about the product, insurance billing questions, and more.